Sarva Haryana Gramin Bank Customer Care Number: In this tutorial, you will get complete step by step instructions to get account balance enquiry or mini statement sms alert. You can also dial SHGB Toll free number for better help support. For more information kindly, visit SHGB official website @www.shgb.co.in. 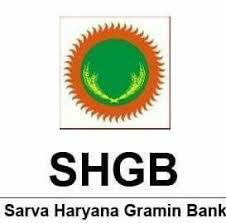 The contact details of Sarva Haryana Gramin Bank such as Customer Care Number, Email ID, Head Office Address and Regional Office Address in this article. Here we are updating All Sarva Haryana Gramin Bank Office Address & Contact Details city wise. Polytechnic Chowk Ambala City Ambala. Opp BSNL Exchange Sirsa Road NH-1 Fatehabad. Pragati Bhawan Plot no-36P Sector-44, Gurgaon. Sanoli Road Near Chandni Bagh Panipat. Circular road Near Jhajjar Chowk Rewari. Near Shiela Theatre Sonipat Road Rohtak-124001. Civil Lines Nuh District Mewat. Here is Sarva Haryana Gramin Bank Toll Free Number and Email ID for customer care helpline support. If you do not know how to check Sarva Haryana Gramin Bank Balance Enquiry then, here we are providing direct missed call alert phone number to know your account balance. Dial 1800-180-7777 to activate mobile banking to get missed call alert balance services. You must have register your mobile number first before checking your account balance. Please do not share your personal information in the below comment box. If you have any query related account balance enquiry, mini statement or any other then, you can directly call on Sarva Haryana Customer Care Number for help support.